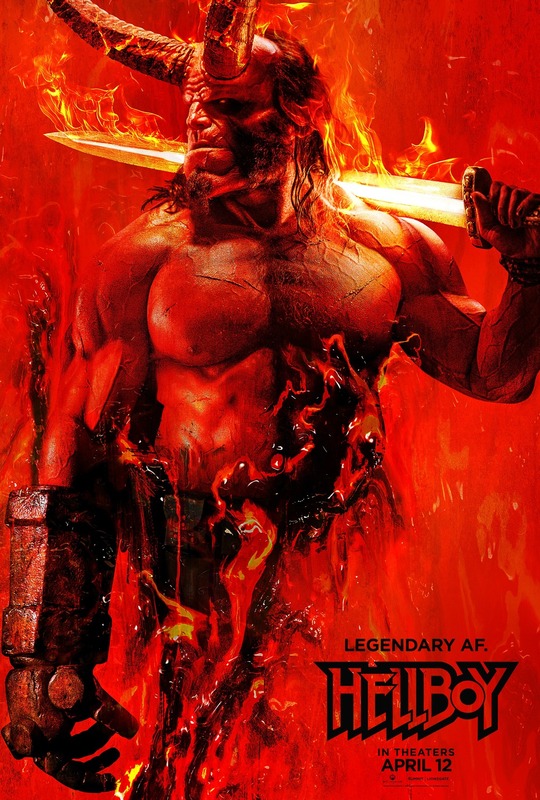 Hellboy (David Harbour) works for the Bureau for Paranormal Research and Defence a secret agency whose aim is to keep the human world safe from the supernatural. When ancient sorceress Nimue the Blood Queen (Milla Jovovich) plans to rise from the dead and wreak her revenge, Hellboy and his reluctant allies must do everything to stop her. Hellboy is reboot/reimagining of the comic books and has nothing to do with the Guillermo del Toro’s Hellboy films in the early-mid 2000s. This film focusses more on the horror elements that come with Hellboy and there’s more bloody violence and swearing too. There are many different creatures, some have pretty interesting character designs, but unfortunately some of them suffer from bad CGI. Now bad CGI doesn’t make a movie bad, but when it’s there and the rest of the film in terms of story and characters aren’t so great, it’s definitely more noticeable. There’s a lot going on in Hellboy and as it keeps jumping between characters and locations, it’s clear that the overall plot is far too convoluted. Characters seemed to get to different locations too quickly to be possible, and one way they get there is by having a character become unconscious and then wake up somewhere else. The editing is very messy as well. In action sequences and fight scenes it’s sometimes hard to follow and the editing is so quick that when there’s scenes of characters just standing and talking, you don’t get proper reaction shots to a joke (which means they don’t often land) or some big important piece of information. As I mentioned there’s a lot of different things happening in Hellboy, with lots of different characters doing different things. Unfortunately, just because there’s a lot happening, it doesn’t mean it’s entertaining. It became rather boring watching these different fights because there’s not enough to make you care about the central characters. The dialogue is often at it’s most generic, and many scenes aren’t there to develop any of the characters personal arcs. David Harbour made a good Hellboy, but the script he had to work with didn’t really give enough emotional depth to his fight to be good. Psychic Alice (Sasha Lane) and special forces agent Daimio (Daniel Dae Kim) are both fun characters and they and Hellboy bounce off one another really well when the script allows it. Hellboy is messy and unfortunately rather dull. There were sparks of fun and interesting things with some of the characters but it’s not enough to make this film enjoyable or worth watching again. 2/5. 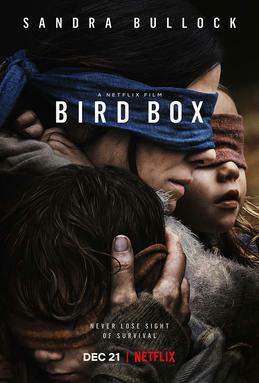 When a man (Sharlto Copley) wakes up in a mass grave, with no memory of what happened to him, he must determine if the murderer is one of the five strangers who rescued him, or if he himself is the killer. 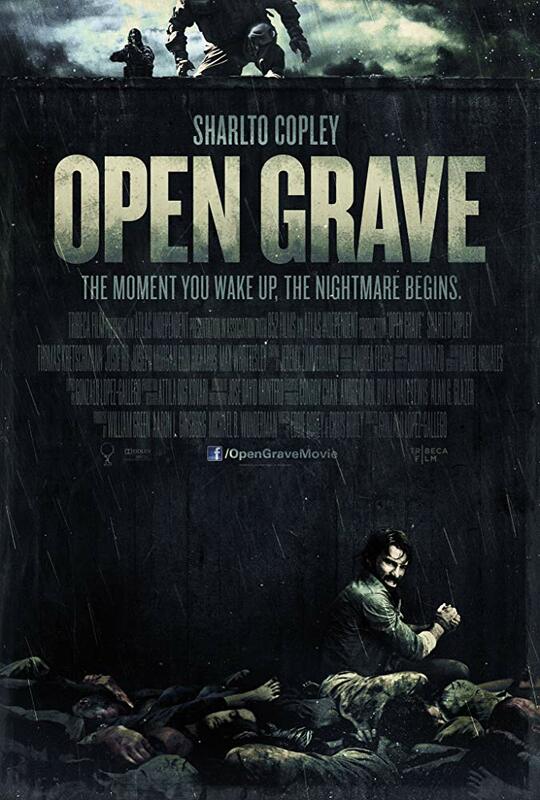 Open Grave is a tense, well-acted film, and it really works when you know as little about the story as possible. It’s creepy and unsettling and it will definitely make you jump a few times. The atmosphere that’s set up from the very beginning is foreboding and unsettling. The deep pit the protagonist wakes up in is in the middle of nowhere, with the only house nearby being occupied by five people who either can’t remember what happened either, or can’t communicate what they know. The way the story is played out means you are trying to figure out what’s happening at the same time as the characters are. The suspense is maintained throughout as different characters discover different elements to the truth but as they have no reference point, it still doesn’t always make sense to them – or they jump to what could be a very wrong or dangerous conclusion. Sharlto Copley is brilliant as a man who is not sure who to trust and, as he gets flashes of memory, he’s not even sure he can trust himself. The rest of the cast are great too, managing to juggle the right amount of fear and suspicion with the desire to survive. Open Grave is a compelling film that’s sharply directed and knows how to build the tension. The way it sprinkles in answers throughout is great as it’s not until the end of the film do you see how everything fits together. 4/5. When a team of scientists aboard the International Space Station are examining the first samples from Mars, they discover a rapidly evolving life form that not only threatens their lives, but all life on Earth. A lot of comparisons can be made between Life and the original claustrophobic-space-horror-film Alien, but that doesn’t mean Life doesn’t do a good job with that template, and it offers its own spin of certain elements. The first half of Life is more of the philosophical and scientific side of things as you get to know the basics about the crew and what they are trying to achieve with this life form they are studying. While the second half is more action-packed as naturally when the creature escapes, things get increasingly worse and the intensity never really lets up. It’s interesting how to begin with there is humour in this film, most of it coming from Ryan Reynolds’s character, but as soon as the danger is realised, the tension jumps up a notch and all characters are suddenly a lot more serious. The camera work and editing make every tunnel and compartment of the ISS feel deadly. As the creature grows smarter and reactionary towards the humans onboard it becomes a bit of a cat and mouse chase around the space station as the crew attempt to contact Earth and stay alive. The dangers are real as members of the crew get injured or die in increasingly gruesome ways and it really is a battle as the creature and the humans onboard have a lot of the same basic needs. 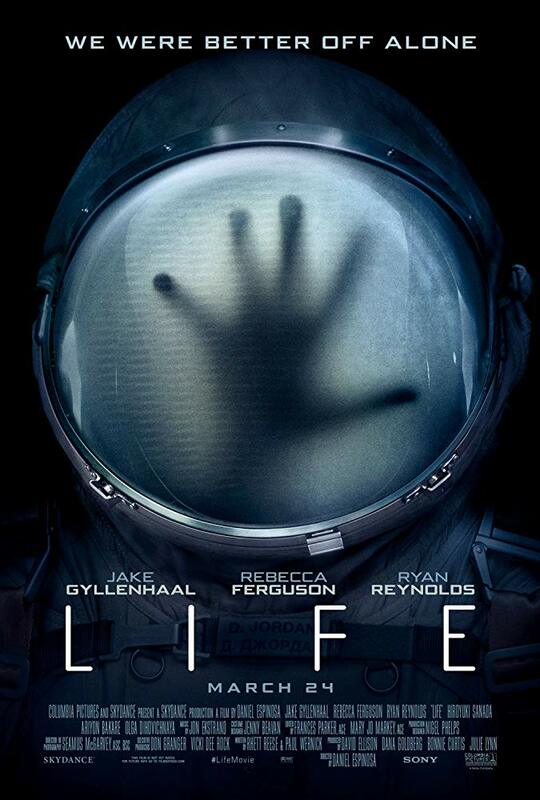 Life is a tense, claustrophobic space horror that leaves you on the edge of your seat, but its dark undertone gets more and more prominent as the film progresses, leaving you drained by the time the credits begin to roll. 4/5. A short story about a woman who’s staying in a crumbling old mansion for three months. While her physician husband is out of the house almost every day, she spends her time in the room with yellow wallpaper. She becomes almost obsessed with the sinister patterns of the wallpaper as she struggles to deal with her nervousness and loneliness. I listened to The Yellow Wallpaper on audiobook and it was narrated by Harriet Walter. I shan’t lie, the only reason I borrowed this book from my library was because of its title. I’m taking part in the A-Z Reading Challenge where you read a book starting with each letter of the alphabet and I needed a book that started with “Y”. But I’m happy I borrowed and read it as it was a very interesting read. Told via the unnamed woman’s diary entries, The Yellow Wallpaper is a weird and creepy short story. At the beginning of the story the woman is very anxious and potentially has postnatal depression as she mentions she and her husband have a baby, though it’s mostly looked after by her husband’s sister, so she can rest. She’s jittery and spending so much time in their bedroom with the yellow wallpaper has her unsettled. The way the wallpaper is described makes it sound like it’s alive, but only she can see what is trapped inside the patterns. She has been isolated by the people who are supposed to care for her and because of that it makes her anxieties worse and perhaps makes her slowly lose grip on reality. 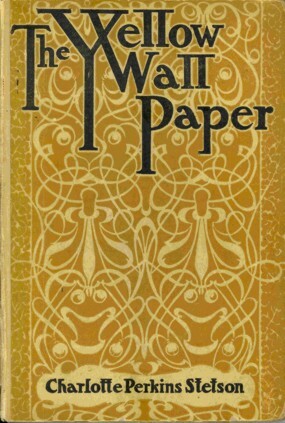 The Yellow Wallpaper is a captivating and creepy gothic short story. The way the story progresses, and its ambiguous ending makes one unsure whether or not it is a “proper” horror story, but there’s certainly some horrifying imagery in it. 4/5. 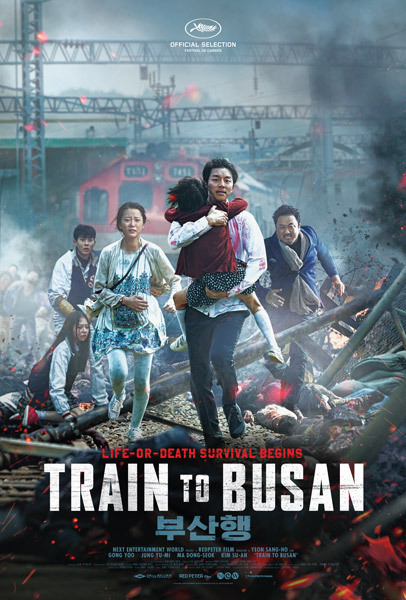 When a zombie virus breaks out in South Korea, businessman Seok-woo (Gong Yoo), his young daughter Soo-an (Kim Su-an) and fellow passengers struggle to survive on the train from Seoul to Busan. I’d heard a lot of positive things about the Train to Busan over the past year or so, and I had meant to watch it sooner, but you know how these things work. Last week it was announced that there was going to be an American remake and my Twitter feed went slightly mad for Train to Busan, so it gave me the push to finally watch it. The zombie element was brilliant. It looked like it was mostly tonnes of extras used rather than computer generated zombies when there was. The actors who played the infected characters must be either contortionists or dancers (or both) because the way they moved their bodies was unnatural and with the added makeup made it very unsettling. It’s not only the infected people that the passengers of the train have to deal with, but each other. Mistrust, greed and self-interest are a big part of some of these characters motivations. Some put themselves before others, while others learn to work together in order to keep their humanity as they try and survive. The action sequences are utilised well, and the film knows how to build tension and have a decent payoff. While Seok-woo and his daughter are the characters you’re first introduced to, and are probably considered the main characters, there’s so many other characters introduced that due to performances and the script are instantly likeable and sympathetic. There’s a lot of people you want to survive but due to the nature of the film, you know that’s not going to be the case. Train to Busan is a zombie-horror film but it is a film that has a lot of heart and there are a lot of moments that pull on your heartstrings due to the tension and the performances. It’s a film with a lot of surprises and it puts your emotions through the ringer. Train to Busan is exciting, emotional, thrilling and all in all is a fantastic film. 5/5. A collection of three short stories, two of them are The Murders in the Rue Morgue and its sequel The Mystery of Marie Rogêt which are creepy and gruesome mysteries. The third is The Purloined Letter which is mystery about a seemingly simple case. I had an interesting time with this short story collection. 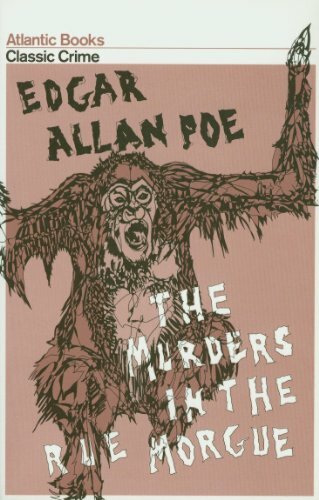 It was the first time I’d read any Edgar Allan Poe and I flew through, and really enjoyed, The Murders in the Rue Morgue, but I found the other two stories a real drag. All three stories are told from the point of view of an unnamed narrator. His friend Dupin is an amateur sleuth so when there’s a crime, he narrates how Dupin gets involved and how he might solve the case. Dupin’s explanations of what happened is where the stories lost me. They’re really long and in depth, with page long paragraphs that I found myself getting lost in as his explanations didn’t intrigue me. They seemed like a way to show off how clever Dupin was but there was never enough to make me like the guy. The events of The Murders in the Rue Morgue are horrifying and there are a lot of vivid descriptions on the crime scene. Those sequences, in all the stories, are the most compelling. It’s the explanations that ended up boring me instead of making me interested in finding out whodunnit. These short stories reminded me of the works of Arthur Conan Doyle and E.W. Hornung. The style of writing and story-telling is quiet something but unlike Sherlock Holmes or A.J. Raffles, Dupin isn’t a charismatic protagonist that I almost instantly took a liking to. I’m not sure if this was a good introduction to Poe but at least I can now say I’ve read The Murders in the Rue Morgue. 2/5.